This is my artistic blog! with some offerings of my local poetry, together with some sketches, articles, and even photographs. I do hope you enjoy my work just as much as I have creating it. To hide your splendour with camouflaged view. 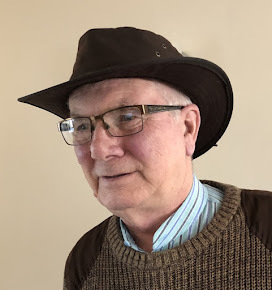 My name is Bryan Yorke and I am now currently enjoying life in the South Lakes area, and on most days will be out and enjoying the nearby local Countryside within Lancashire and Cumbria. I tend to spend most time on Hutton Roof which is in very close proximity to Burton In Kendal where I live, but other times I go to Arnside Knott, Gait Barrows, Warton Crag amongst other great areas. IF YOU WOULD LIKE TO CONTACT ME PLEASE FEEL FREE TO DO SO AT MY EMAIL ADDRESS WHICH IS: bryan.yorke@sky.com I will then get back in touch with you as soon as possible. Why not follow us on Twitter or just tweet to @bryanyorke or follow us on Facebook by clicking here. "Ay! to a bird looked that looked like a Mouse"
Carter Place Hall that was! Must be two of Hutton Roof's Revellers! Not unlike "The First Rev Of The Motorbike"
Nowt plain about Plain Quarry, tha nus! Shepherd Sed Owd Ned Grabbed a Feasant! Smart *** gets the whistle! Where did all folk put their brass? "I found this fabulous tree, and didn't want to leave it be"
All content in this blog is copyrighted to Bryan Yorke (bryan.yorke@sky.com). Watermark theme. Powered by Blogger.